Down road 22 in Chowchilla, behind a wall of trees, impossibly green despite the brutal summer heat of California’s Central Valley, is the country’s largest prison for women, home to about 3,000 inmates. For at least a decade, no member of Congress had visited the facility—until this sweltering Wednesday afternoon in July. 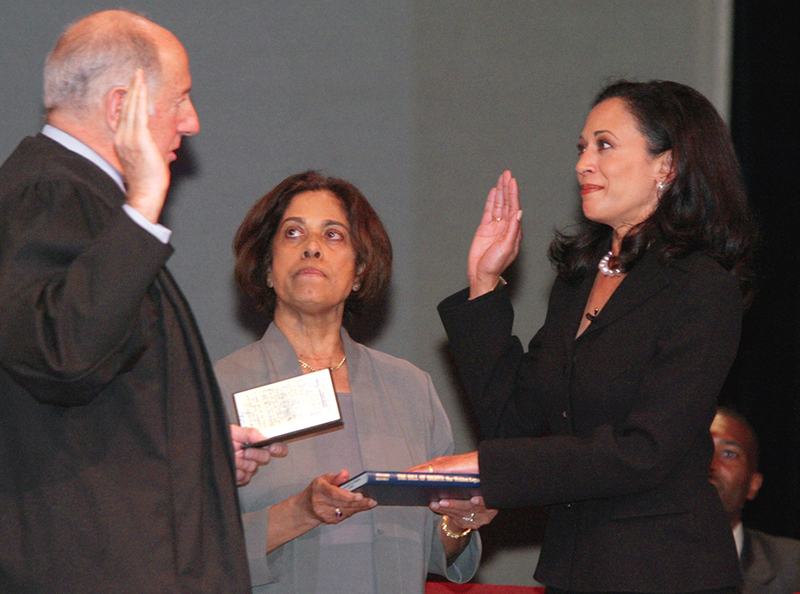 Harris is not interested in crusading from the outside; her mission is to reform the system from within. 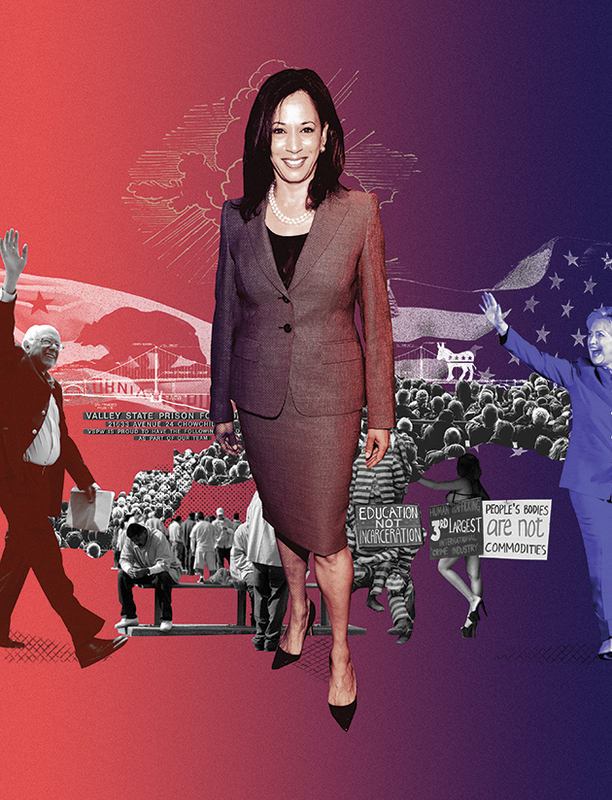 Harris has long tried to bridge the tricky divide between social progressivism and the work required as a prosecutor—sometimes more successfully than others. As San Francisco’s district attorney, for instance, she steadfastly refused to seek the death penalty against a man accused of killing a police officer, but later, as California’s attorney general, she defended the state’s right to use capital punishment. In 2012, she helped win a massive, $25 billion settlement with Wells Fargo and other financial institutions for foreclosure abuses, but a year later she declined to prosecute Steven Mnuchin’s OneWest Bank for foreclosure violations. In 2014, she co-sponsored a bill to outlaw the so-called gay-panic defense in California, a legal strategy that often shielded perpetrators of violent crimes against LGBT people from serious punishment, but a year later she sought to block gender reassignment surgery for a transgender prison inmate. In 2004, after Harris defeated two-term incumbent Terence Hallinan to become San Francisco’s district attorney—the first woman and the first person of color to hold the position—she approached Simon about joining that office. Back on Track was an important win for Harris, who by 2009 was already eyeing statewide office. 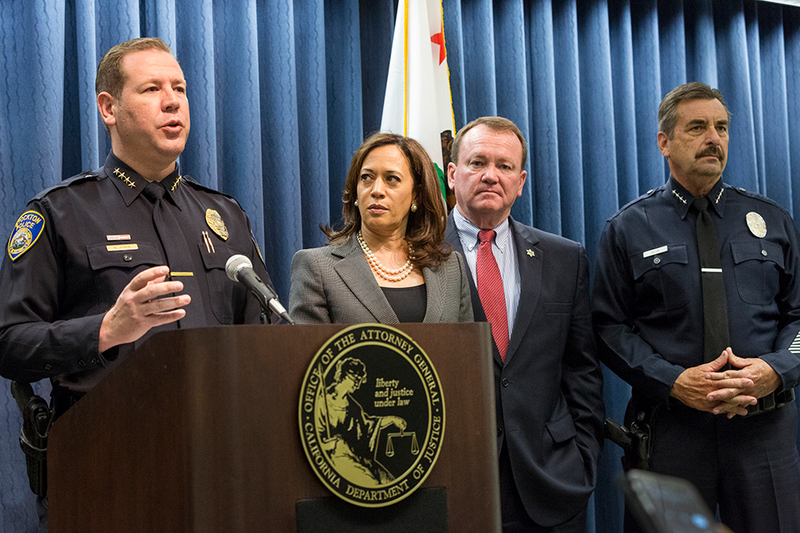 California was struggling with prison overcrowding, so Harris worked with the state Legislature and the Republican governor to get Back on Track signed into law as the model reentry program for the state. That positioned her for the attorney general’s office in 2011—and for the period when the conflicts baked into her fix-it-from-the-inside approach would erupt into full public view.